Buying a home can be overwhelming process, but it doesn't have to be! By identifying your needs and understanding the process ahead of time, you'll feel much more comfortable from start to finish. Make the process simple and stress-free by working with our team of Victoria real estate experts. With our help, not only will you gain unlimited access to latest listings, but more importantly, we'll help you identify the potential resale of each home you're considering. Our extensive network of preferred business partners will simplify the process every step of the way, making your journey to home ownership as simple and stress-free as possible. Ready to start your home search? Register for an account to start viewing available properties in Victoria, central Vancouver Island, and beyond! For even more expertise, get in touch with one of our buying specialists today! Learn more about our guarantee for buyers. Request our FREE moving truck! Get pre-approved for a mortgage now! When it comes to buying real estate, most people are so eager to start their home search that they go straight to the listings without knowing exactly how much they can truly afford to borrow. It’s one thing to window-shop for fun, but if you’re putting in a serious effort to find a home, it’s imperative to know your budget and shop within it. Once you know exactly how much you can afford, then you can start to consider whereabouts you should locate and what kind of home you want to buy. Depending on where you want to live has a lot to do with how far your dollar will go. In downtown Victoria for instance, you could fetch a chic urban condo for around $500,000, whereas out in Sooke or Westshore, that same about could buy you a spacious 3-bedroom home with a fenced backyard. Our mortgage calculator can help give you a rough idea of how much your monthly payment would be for a particular property. Already have your finances in order? Kickstart your home search with our advanced features. Search by map, community, property type, and more! Start to consider what your next home will look like. How many bedrooms do you need? Do you need to be close to schools and playgrounds? Do you need a place with a genereous backyard? Do you want to be close to work, or are you okay with a commute? It's important to be realistic with your expectations, and list of wants and needs is a great place to start. 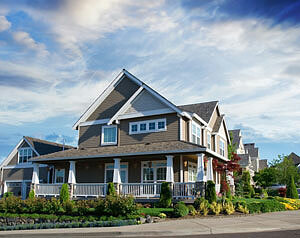 The neighborhood should be large factor in the purchase of your home. For your family, this is where they’ll play, make friends, enjoy potlucks, and (ideally) enjoy coming home to. Your comfort zone doesn’t just start and stop at your doorstep, it includes the entire community surrounding you. Victoria has thousands of neighborhoods to choose from, each with their own unique features and charm. Your Neal Estate Team expert will work with you directly to figure out what’s important to you – such as schools, entertainment, or shopping, just to name a few – and help you find the perfect home in just the right neighborhood to complement your lifestyle. Click below to read more about the different communities in the greater Victoria region. Once you’ve locked in on financing and found a home that speaks to you, it’s up to your Neal Estate Team agent to negotiate with the seller and seal the deal. Then, you can use our FREE moving truck to move in. It’s our way of saying thanks for choosing us as your trusted real estate team. When you work with the Neal Estate Team, we give you unlimited access to the MLS® and go above and beyond to seek-out any non-listed properties on your behalf. Your success is our top priority, and we won’t stop until you’re 100% satisfied with your new home. As Victoria real estate experts, our expertise can help you choose a home that not only suits your needs right now, but for years to come. It’s important to us that you’re set up up for long-term financial success and happiness. In addition to our award-winning service to clients, we offer a buyer’s guarantee to show you just how confident we are that you’re going to love your new space. If you don’t, we’ll gladly sell it for free –with no listing commission applied. To learn more about the homebuying process or to schedule a meeting with one of our buying specialists, send us a message or give us a call today!